The start of a New Year is the perfect time to reflect on 2016 and implement new strategies. One of the key focal points for any size of business, should be credit control. This area is often overlooked but should be a primary area for any SME and the new year represents the opportunity to adopt new practices to ensure your firm’s profits are at a peak. Your Business sales ledger is probably the most important yet troublesome aspect of day to day operations. Failure to closely monitor your customers will only result in reduced cash flow. Possibly the most frustrating aspect of running a business is that a percentage of customers do not pay invoices until reminders have been sent. Some will have no intention to pay at all. Chasing unpaid invoices can be a fruitless task that is counter productive and stressful. Preventative measures can be put in place but it is often the case that firms try so hard to get business, they do not notice when that business does not pay. A proactive credit control strategy will maximise your business cash flow providing you adopt good practice and a disciplined stance on non payers. There is are no 100% guarantees in credit control however there are things you can do to maximise the probability of payment and stay in control. We have put together our top 7 credit control tips for 2017. You may already have some of these tactics for payment in place but it certainly will not hurt your business to implement any that you do not. Expect late payment – It is a harsh reality of business that very few companies actually pay their outstanding accounts/debts on time. Assume that each invoice will become overdue as this prepares you for the reality. This will also encourage you to ensure you have the right strategies in place to deal with such. Send invoices asap – The earlier you send your invoice for payment, the sooner you will get paid. Sounds like a no brainer and it is however there is no room for lethargy in this situation. Credit check & monitor – Just because your customer passed your credit checking procedure in 2012, they might not pass that same check today! Make rules and stick to them – Set the ground rules from outset and make them very clear to your customers. Avoids any ambiguity. Be authoritative – Some businesses are reluctant to ask for payments that are overdue? Why? For fear of losing them as a customer? – How many suppliers have you stopped using because they wanted to have their invoice paid on time! Do you really want customers that do not pay anyway?! A polite but firm approach when requesting payment is sensible. Pro active payment reminders – A pragmatic credit controller will not wait for an invoice to become overdue before phoning the customer, they will call a couple of days before. “Will not pay whatever we do” – Never simply write off a debt unless it is a very low amount. You should always have recourse for non/late payers in your credit control strategy. A relationship with a Professional & accredited Business Debt Collection firm will only serve to boost your profits. 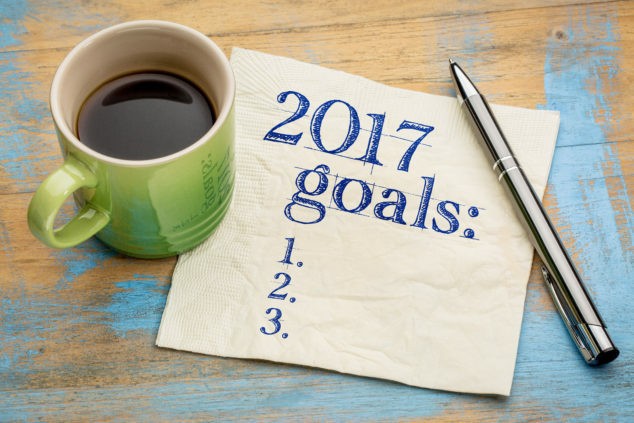 It really will pay to make improvements to your business’s credit control procedures helping to make sure that 2017 really is a happy new year.